I mentioned in TechTip #68 that I recently fell off a ladder and broke my collar bone which required surgery to set the bone correctly. While convalescing, and being the inventive type, I thought about what happened, what could have been done differently and how could I have prevented the fall or reduced its impact. What happened was very simple. I was standing on a "made for RV" ladder that is a foldable step ladder. All latches were secure and it was properly extended. I checked to make sure it was stable then climbed up. Standing on the top rung, one foot below the top I carried out the cleaning of my RV and started to descend. As I stepped down, the ladder shifted back and seemed to almost catapult me backwards into the air. I landed behind the RV on the other side quite a distance from where I started. The ladder was upright and according to my wife who looked it over carefully after the fact, all latches we locked. As best as I can determine one of the rear legs of the ladder was on grass over a depression in the ground whereas the other three legs were solidly planted on gravel. Going up the ladder I had my weight on the leading side close to the RV, coming down my weight shifted and with the leg going into the hole it threw me off. The area of the RV where I was cleaning had nothing to grab onto; the RV ladder was mounted on the other side, I was already below the roof so there were no marker or clearance lights to clutch, no body moldings, windows, in short nothing to break my fall. work. I thought that a releasable suction cup device such as I had seen auto glass installers use as they moved large windshields into place might be a suitable solution. 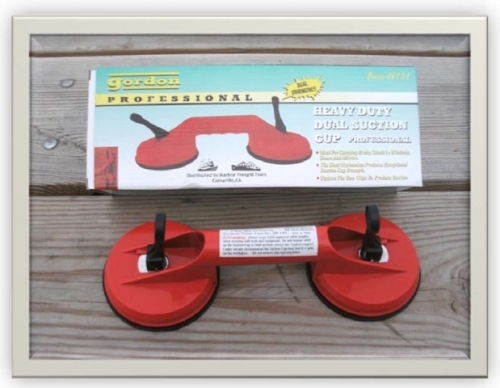 My online searches led me to a double suction cup unit less that 1 foot long with two 4" rubber suction cups mounted on a handle. The unit is designed to carry 200 lbs. This might be the solution. 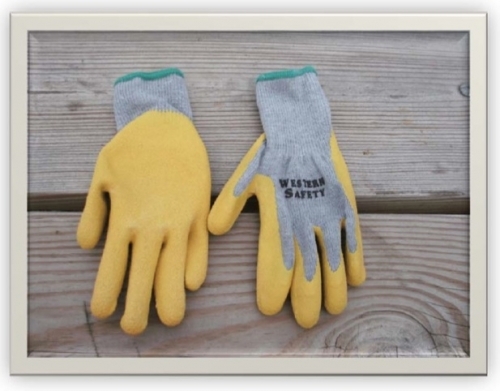 The one shown was purchased at Harbor Freight for under $10. 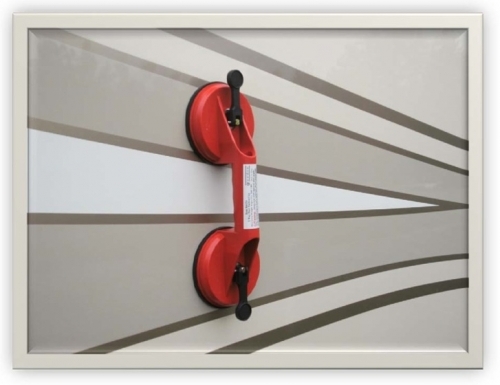 In the picture it is mounted on the sidewall of our RV. It is simple to mount and demount, can be easily placed nearby the work area and will at the very least break a fall should the same incident occur. While initially I was thinking of a security harness being attached to it I quickly dismissed that idea. This is a simple to use, light weight and non-obtrusive piece of safety equipment that will provide a measure of safety when using a ladder. As with any task around an RV, use a ladder only if you feel comfortable doing so. If you decide to go up on a ladder take my advice and spend the small amount of money to purchase and then use the safety equipment recommended. I can assure you the time spent setting up is small compared recovery aggravation injury to the time and such an entails.